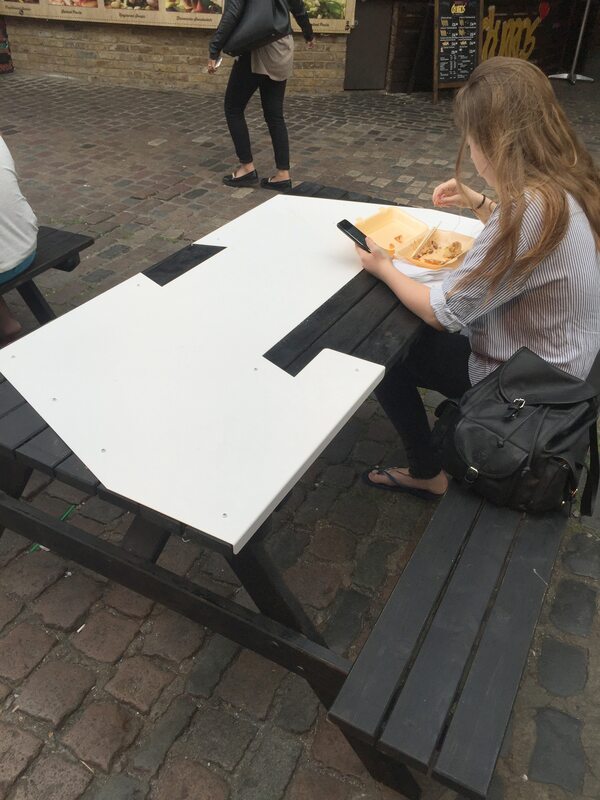 A series of graphic metal picnic table tops that appear to drape over the edges of the tables like cloth, for the public food and drink area at Camden Market. 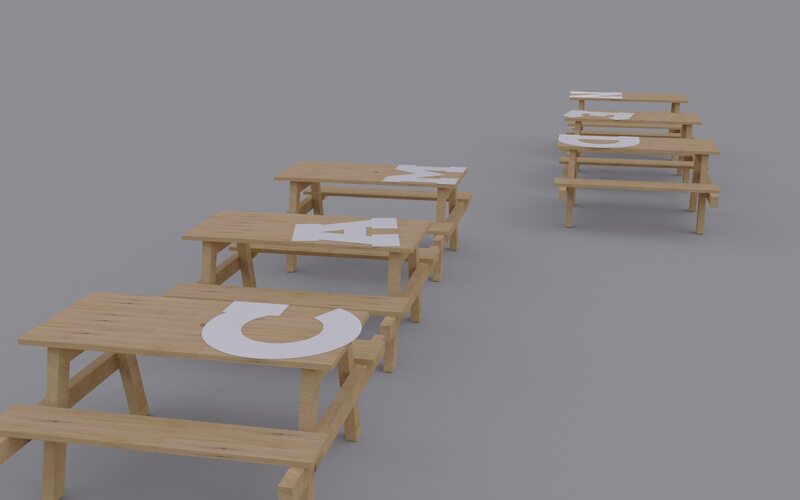 Silhouettes of objects relating to past and present activities at the site were selected to be laser cut and folded in steel, to form durable and decorative ‘table cloth’ features designed to be fixed to both existing and new timber picnic tables. 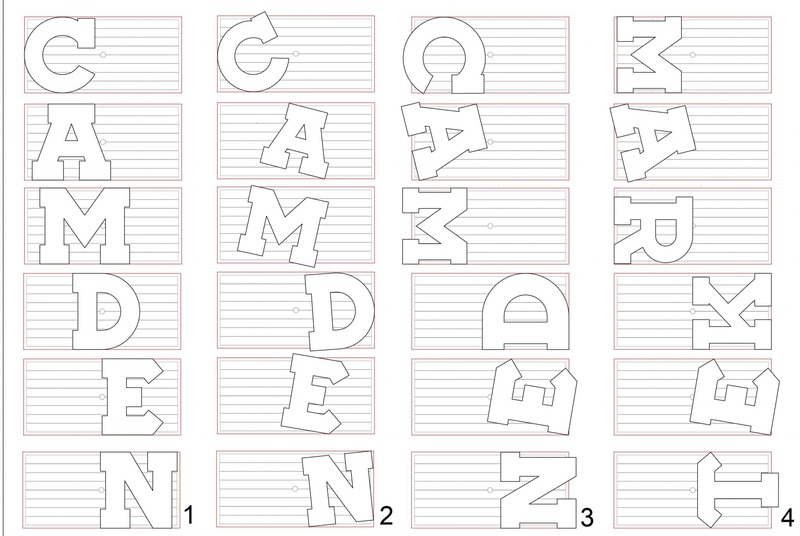 A selection of cropped lettering drawn from the refreshed Camden Market graphic identity were also included to link these physical features to the overall site branding. 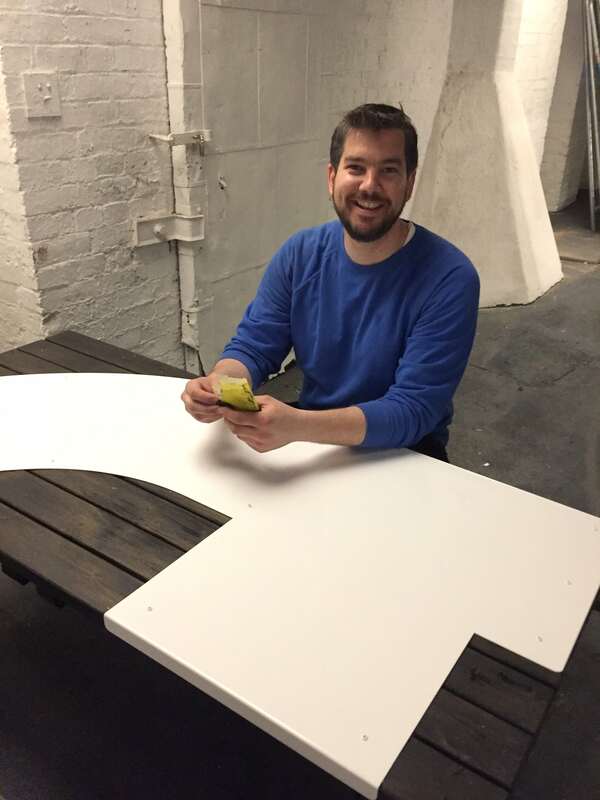 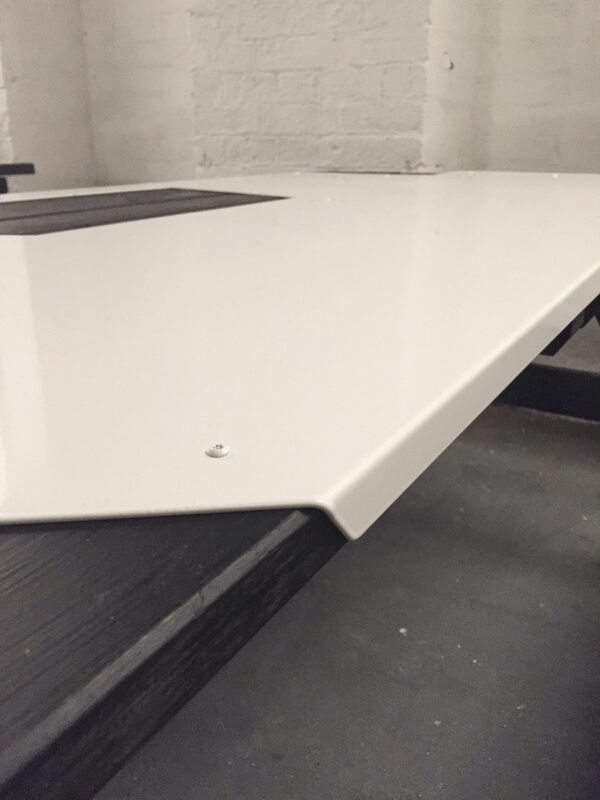 The draped steel tops were powdercoated in a durable white finish and fixed to the black stained timber tables using bespoke coloured security screws. 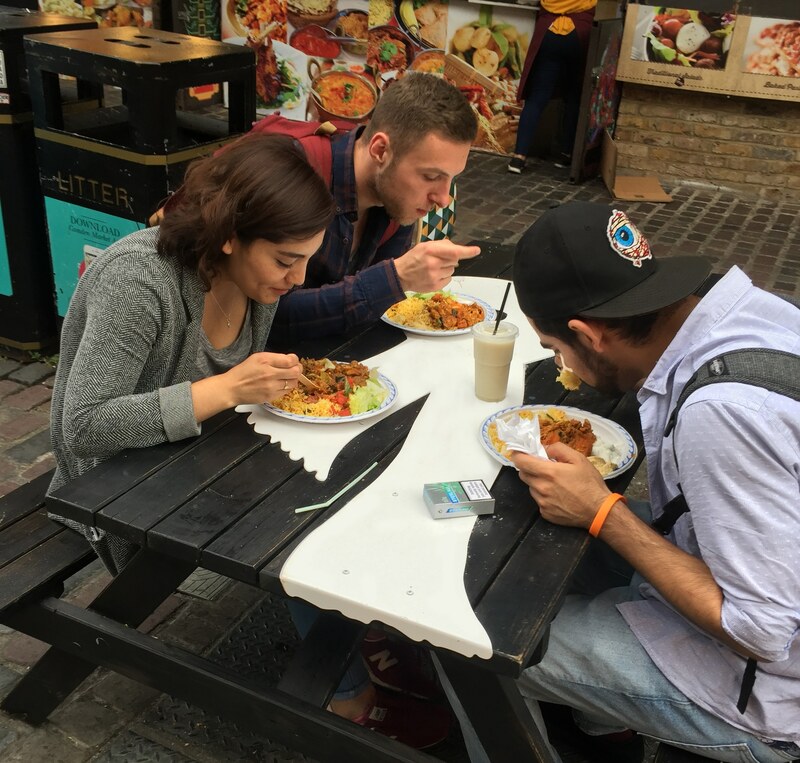 These bursts of bright colour communicating a coherent yet eclectic visual identity of this busy and historic market site.